Newsflash from IgroMir 2016! 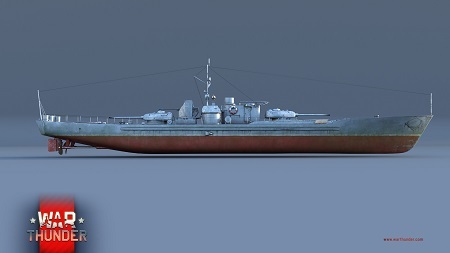 New ships and first look at Japanese Ground Forces! 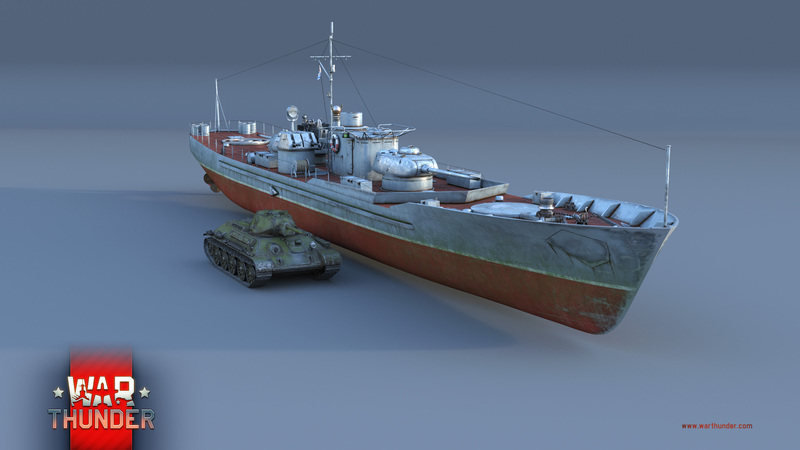 As you know, the Closed Beta of the War Thunder Naval Forces is planned to start very soon. But even besides the major development of the Knights of the Sea, the recent feature-rich content Update 1.63 ‘Desert Hunters’ and the approach of War Thunder’s birthday, there is still plenty of room for more innovation in War Thunder. We are able to give a great surprise to the first visitors in Russia’s biggest gaming exhibition, IgroMir 2016, which is held in Moscow, and we are sure we’ll be able to amaze you as well. You can not attend? Not a big issue, we will tell you more here! Dark MGB — A fast patrol boat design originating in 1954. Why a “design”? Well that’s because the ships of the Dark-class essentially were a modular platform to accommodate different types of weapons. 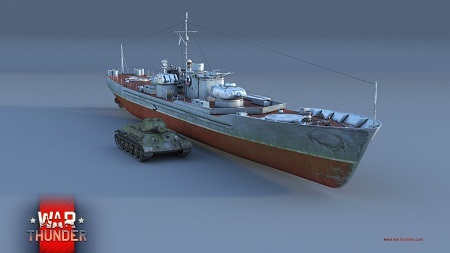 Our version will be the artillery version, designated MGB for Motor Gun Boat. However, it only takes a small refurbishment to transform it into a MTB, a Motor Torpedo Boat. By now, we are sure you’ve already noticed it’s smaller size. Don’t let that deceive you! One of its cannons is a powerful 40mm Bofors L/60 autocannon - and if that’s not enough, there’s a QF 4.5-inch naval cannon just waiting to pack a nasty punch against any enemy! Still want more? The Dark-class MGB has a couple of Mark VII depth charges as well. If, after all these amazing features, you are still not impressed, then how about the fact that this awkward-looking fat man can reach up to 40 knots (~74 km/h) thanks to her aluminium body. Furthermore, She comes with black protective paint and runs on diesel. Go ahead, try to set it on fire! One more line about that cannon, though. With a barrel featuring a staggering 113 mm in diameter, it fires high-explosive shells at a rate that is out of this world - an impressive 10 shots per minute. Imagine what will happen to the enemy just after the first hit! 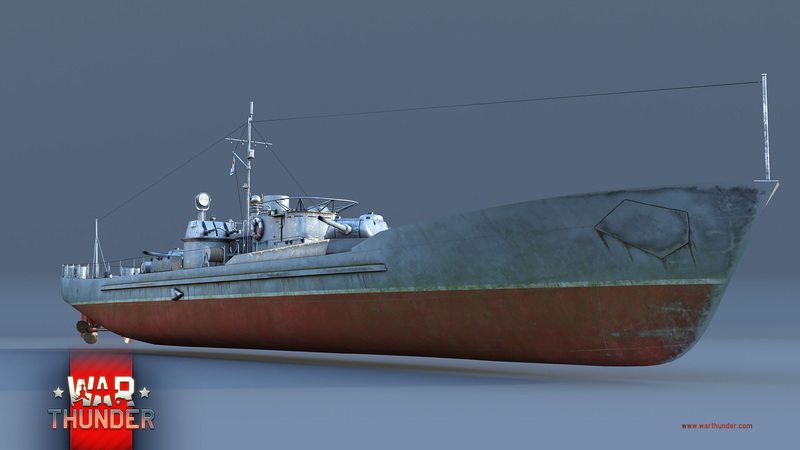 Armored Gunboat Project 186 — the bane of enemy boats. As a first note, that "armor" prefix in the boat’s classification is fully justified. The armor on the bridge allows it to resist not only fire from machine guns of all calibers, but is still effective even against hits of shells up to 20 mm. For a boat, that’s pretty impressive! Of course, it’s important not only to stay afloat after a hit, but also to deal some damage yourself. 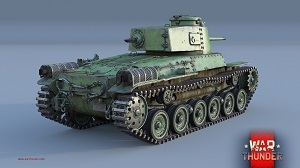 Everyone is familiar with the turret of the T-34-85, which looks great on any vehicle. Luckily, on the Project 186, we get two of them! And although they were mounted as a temporary solution on the Project 186, before more specialized tools were to be installed, they were still capable of coping perfectly with any possible tasks. 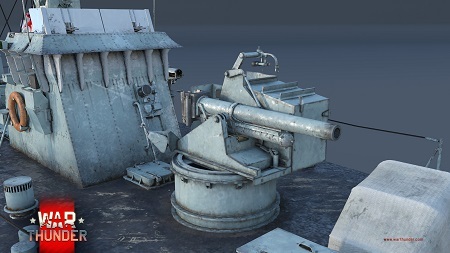 It’s a legit tank turret, no special changes - true to form in everything, even it’s 85mm caliber. To protect the vessel against air strikes, it was equipped with another 37mm cannon and four heavy DShK machine guns on rotating mounts. It’s strong, armored - but sadly, it’s not very agile. Any commander of this mighty Soviet vessel is advised to train evasive maneuvers against enemy torpedos. If you master that, you’ll be able to destroy any enemy! 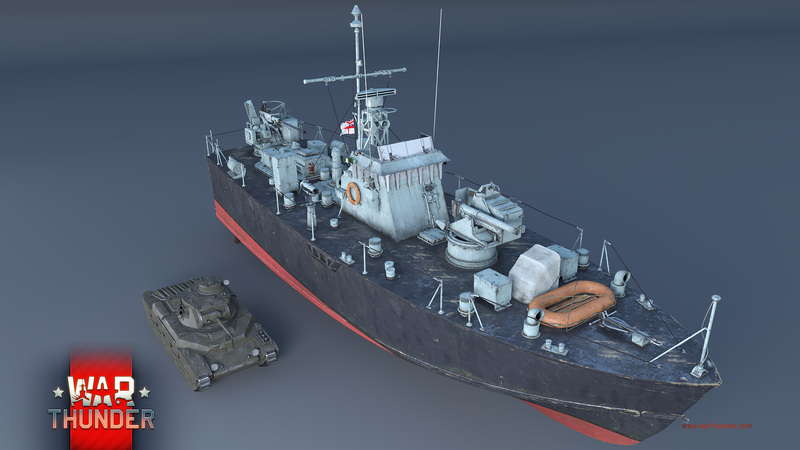 The Closed Beta for the Naval Forces starts really soon. Did you already pre-order? Now, to the surprise part we mentioned earlier. 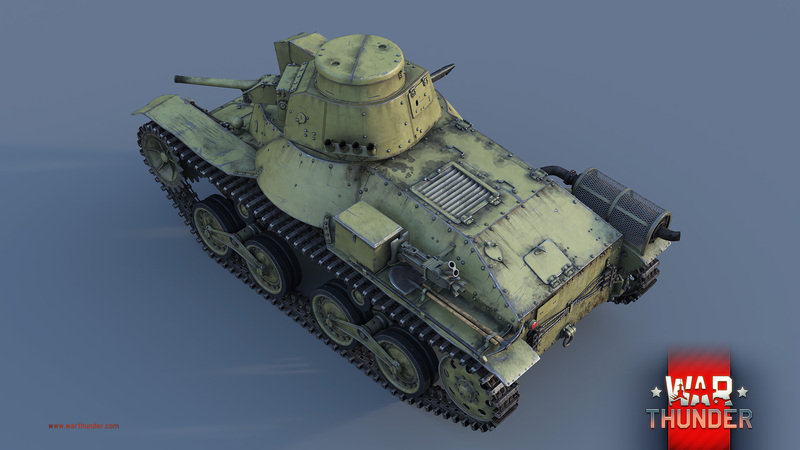 Finally, it is confirmed - Japanese ground vehicles will appear in War Thunder! And they are not just plans. Today, we can present to you the very first tanks of the Japanese Ground Forces tree. 九五式 “Ha-Go”. This vehicle by the full name of Mitsubishi Type 95 "Ha-Go" is a light Japanese tank originating from the mid 1930s. 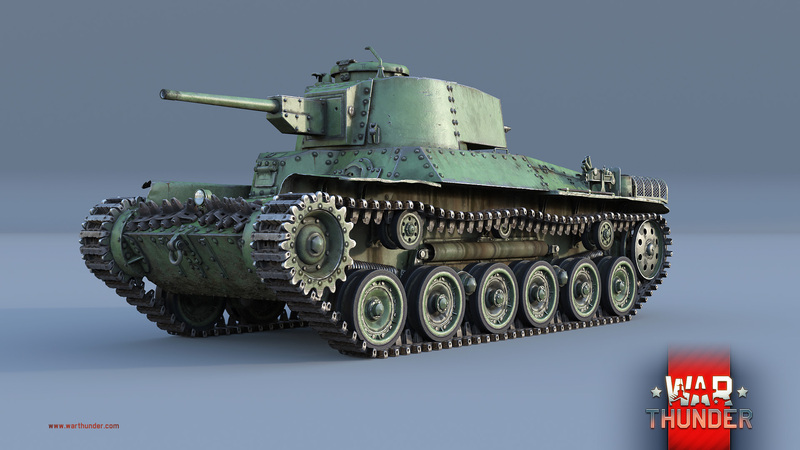 Initially, like all tanks from the 30’s, it was intended to support infantry assaults and cavalry charges and thus, in general, not designed to fight against other tanks. In war, however, reality dictates the conditions. Notable for this tank are its excellent maneuverability and speed, a rapid-firing cannon and light armor. 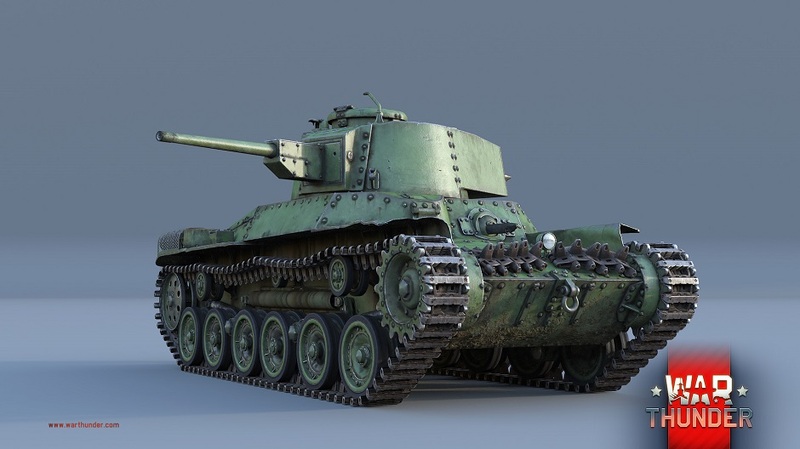 This makes it a classic light tank and a perfect match for the early ranks of War Thunder. Let's see how it will perform in combat! 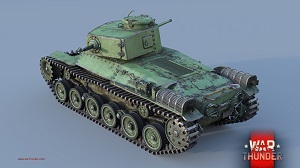 九七式中戦車 "Shinhoto Chi-Ha". This vehicle is a little more serious as an enemy than the Ha-Go. 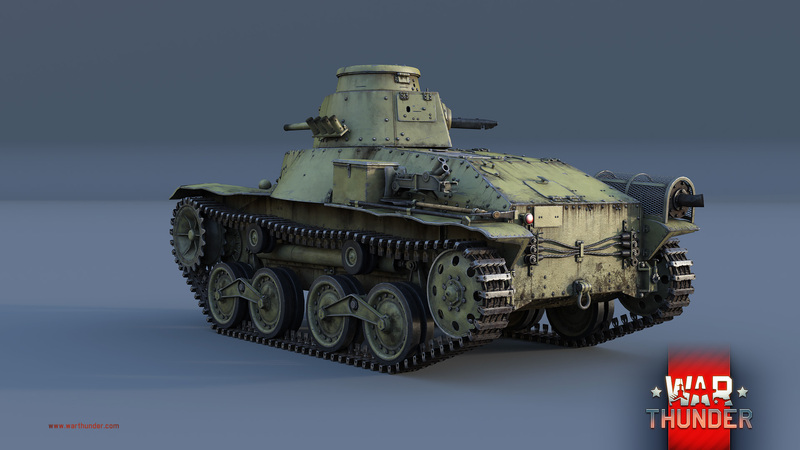 According to the Japanese classification, this vehicle is a medium tank, but going by the average weight of similar tanks from other countries, it’s still a light one. 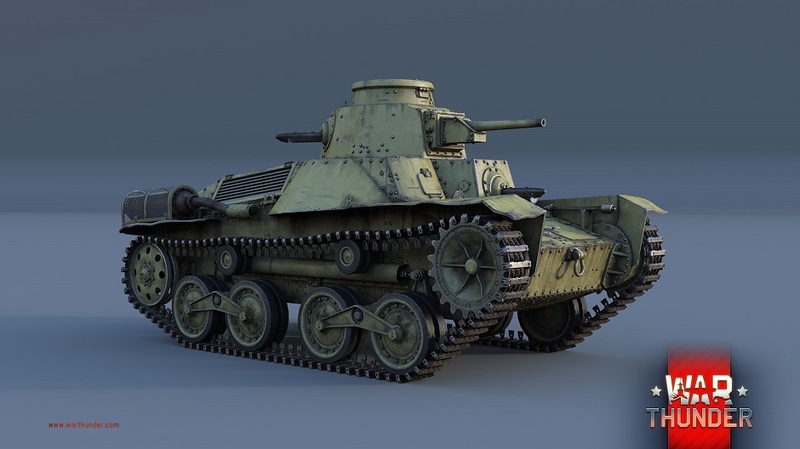 The Mitsubishi Type 97 was designed after the Japanese fought the Soviet Army near Khalkin-Gol, where the low efficiency of the Japanese tankettes to date became increasingly apparent. 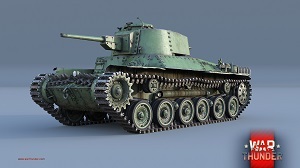 To rectify this, engineers at Mitsubishi developed a new tank project with improved armor protection and a more spacious turret, allowing for the installation of a dedicated anti-tank cannon. The first modification presented was called “Shinhoto”, which literally means “new turret.” It was designed to fit a 47mm cannon, which was superior in all aspects to its predecessor. The strength of the gun mantlet now reached a respectable 40 mm. 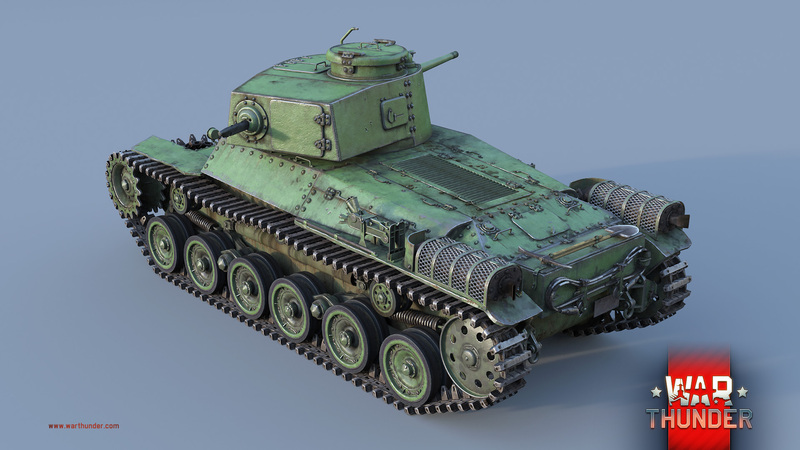 For the tankers of War Thunder, the Shinhoto will still be mostly a light tank, thus the use of corresponding tactics is advised. Always be on the move, don’t hesitate to take cover and avoid taking hits whenever possible. We have only outlined these new vehicles to you in this format, visitors to IgroMir 2016 were lucky to see them also. Naturally, you will be able to learn more about these and upcoming vehicles in future Developer Blogs, where we will show them with more screenshots and videos. So, as always, follow the news, stay connected on Social Media and - above all - stay tuned! 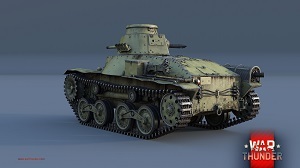 So, Japan gets its ground vehicles soon. 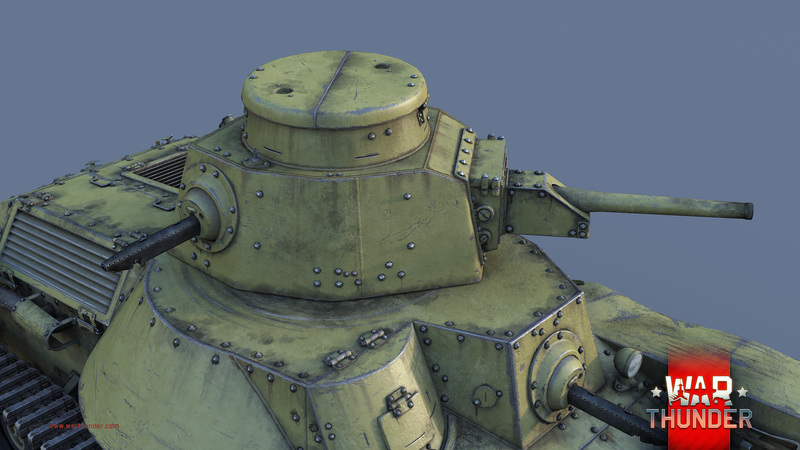 Tankers, have you already familiarised yourself with the might of Japanese steel? If you haven't, you probably should! We added more pictures :) Enjoy! Wall1ce, ''The anime skins are bad enough smh'' Awww wipe your tears, mate. The anime skin can only be seen by the person installing it NOT everyone in the game. There is nothing anyone should be crying over it. Hell yes! Great to see Japan finally getting ground forces. Do Italians get planes anytime soon also? Pacifica, I CAN'T WAIT ANYMORE the eagles are ready! Very honorabru, thanks Gaijin ! The Great Emperor is pleased!